We have heard about two kind of powers in the world. One is the power of the sword and the other is the power of the pen. There is a great competition and rivalry between the two. But with age of smartphone and apps, there is one power which has grown much above these two. It’s the power of one TOUCH with just a click. And you guys know which app brings us this power? YUP! is a one touch app that has been developed on the premise of keeping things simple and easily accessible. 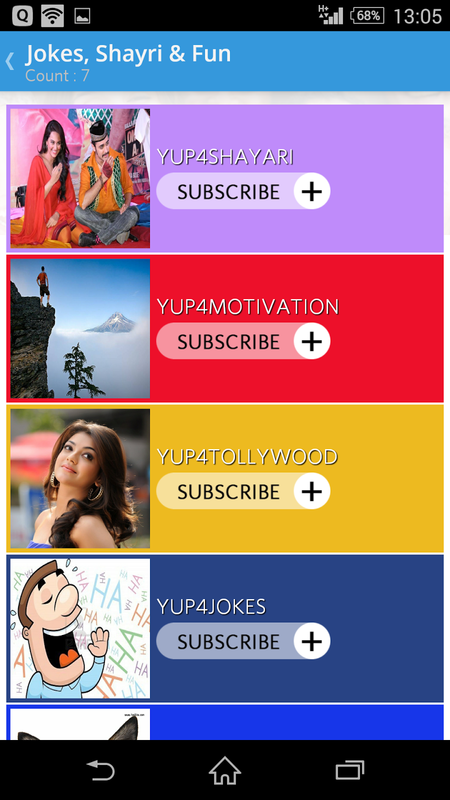 What started as a one touch messaging app, wherein the user could keep in touch with friends, family and colleagues by clicking on the pre written messages in the app, YUP! has now taken the concept of one touch to a whole new level. YUP! 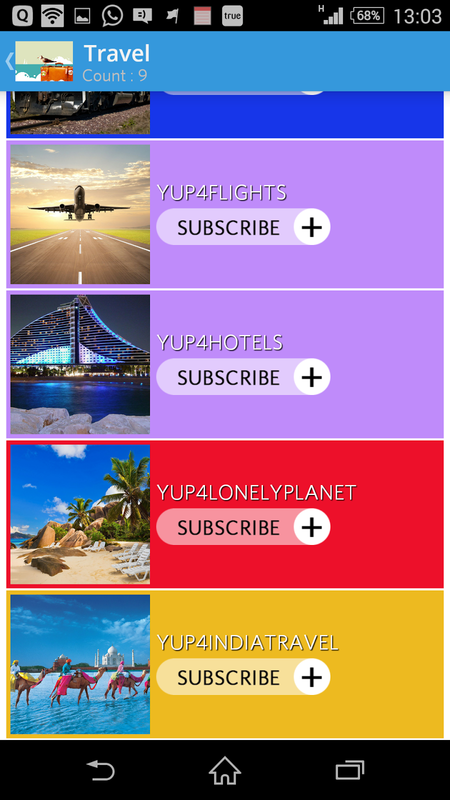 lets its users access multiple sites through this one app, in one touch. The category is called Yup!World. 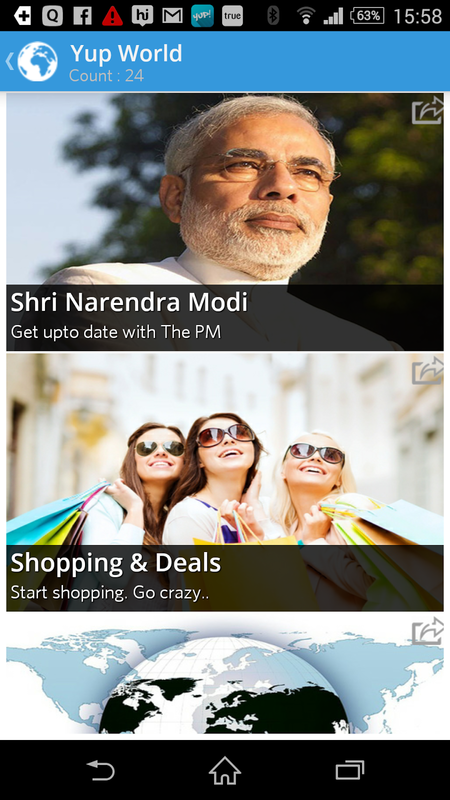 Most popular services of the category are News, Cricket, Namo, jobs, shopping, hot pics, jokes. This effectively means that users do not have to download multiple apps on their device and don't have to use up precious memory space on their phones, they can simply access their favourite apps in YUP! 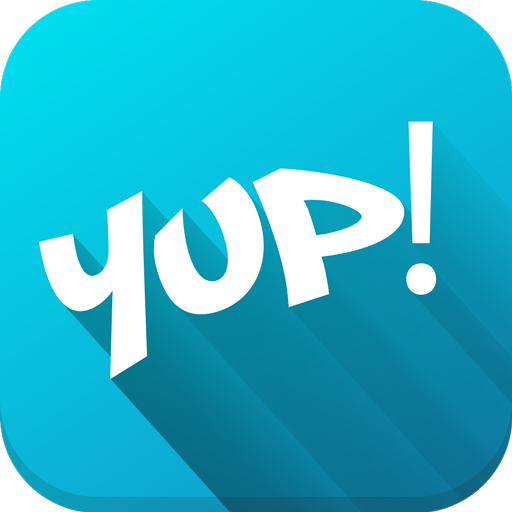 Another interesting feature of this app is the YUP!Now feature which allows users to voice their thoughts and opinions on various issues concerning their immediate environment eg: when asked if AAP could win the Delhi elections, 75% users said no! This is a low size, useful app, works on 512MB, 1GB and 2GB. Hence, all of us can use it. Plus point is that it is just a 4 MB App with hell loads of features. 3. Allows secure connection to users to connect seamlessly with trusted friends and peers. 1. 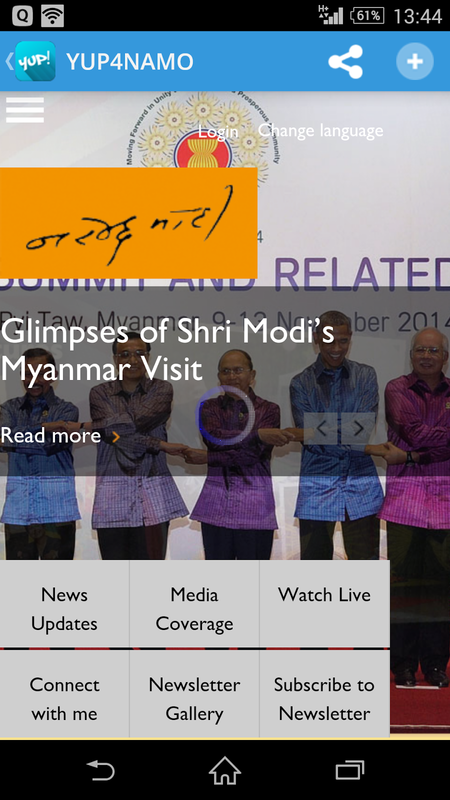 Now explore a whole range of world services. 2. Now cast your vote on issues that you control. Make a difference. 4. Now cast your vote on issues that can make a difference. 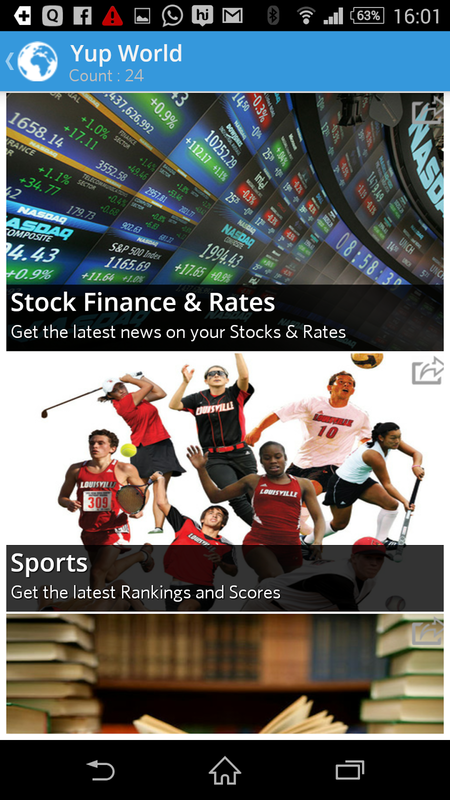 Check out some cool screenshots of the app here.